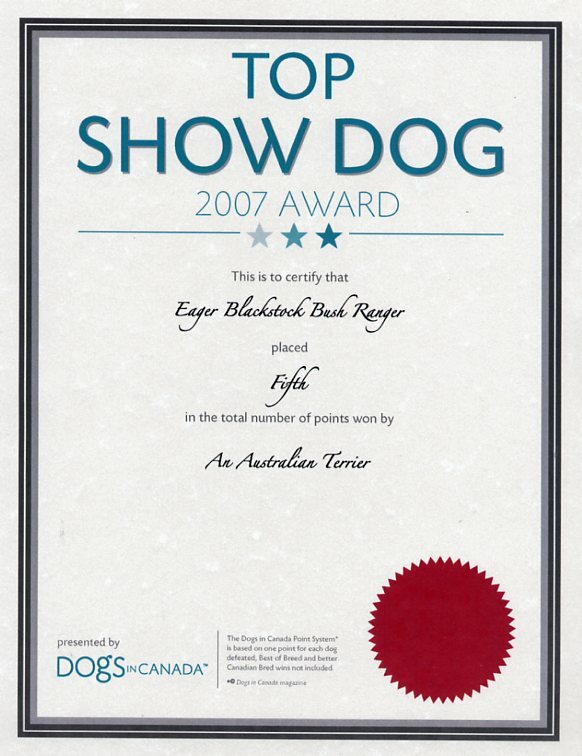 Something We're REALLY proud of! Sassy's brother! & Can & CFC CH. Eager Blackstock Bush Ranger!! 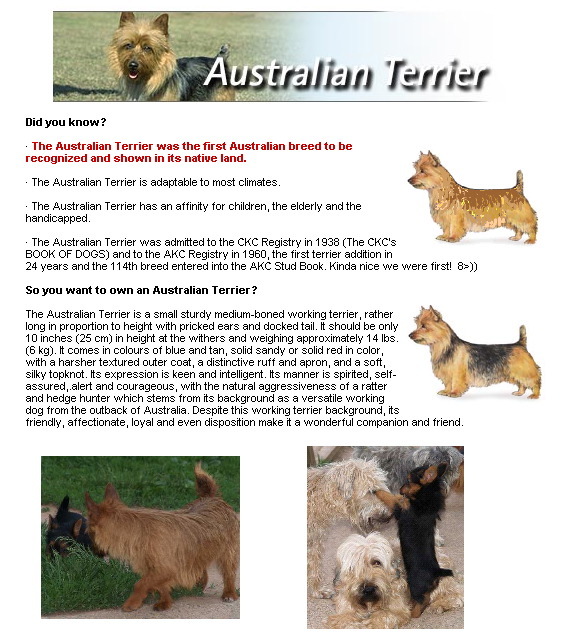 Click Here to check out the Australian Terrier Club of America's web site!!! 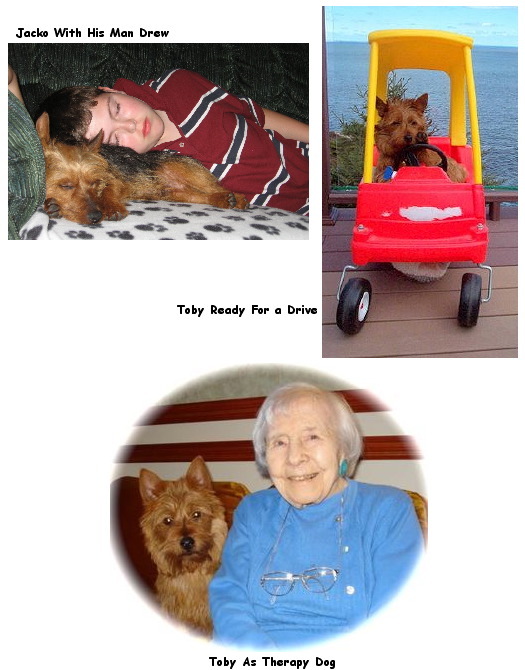 Click here to get in touch with Mom!